Punch the living cash out of everything. 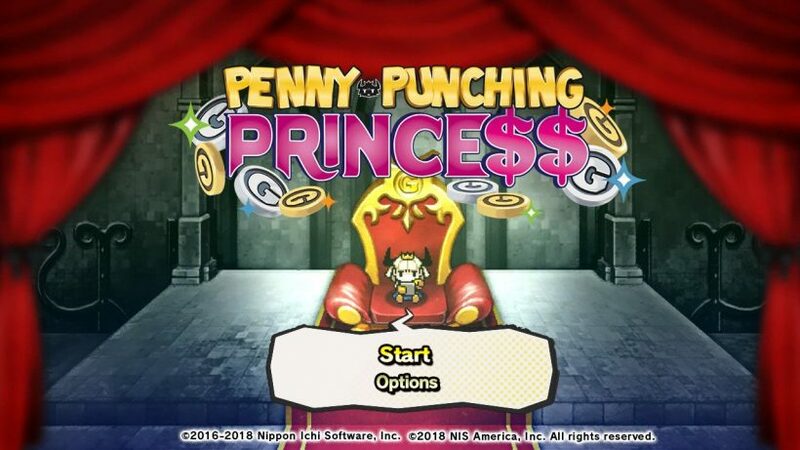 Penny-Punching Princess is a unique take on the brawler genre where players must extract as much cash as possible out of everything that moves so that money gathered can be used to bribe enemies to fight for you, activate traps and open locked gates. 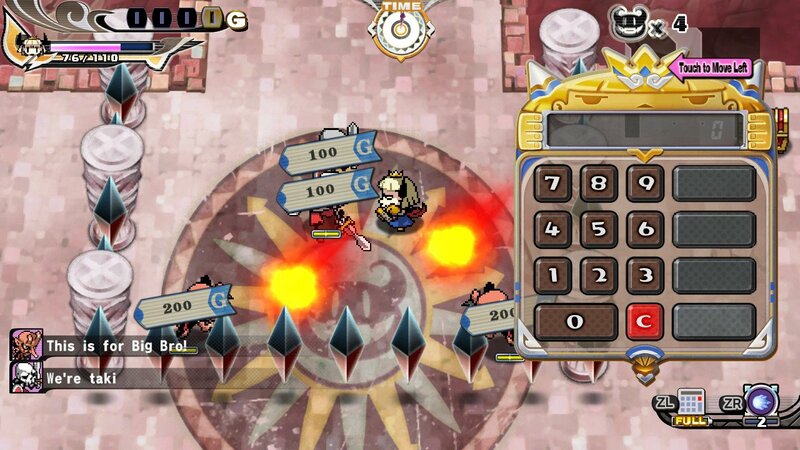 The general gameplay mechanic in Penny-Punching Princess is about as simple as it comes; you enter a dungeon, kill everything in sight before returning back to your castle to craft and upgrade your gear. Bribing your enemies mid-dungeon has a deeper purpose than just being able to utilise them in combat; adding these guys to your payroll is essentially how you craft new gear. To bribe them in the first place, you must take out your calculator (yes, really) and enter the correct bribe amount on the display before they succumb to your authority. The first comparison I made when I started playing Penny-Punching Princess was to the classic Streets Of Rage series; kill some stuff before moving to the next area, movement feels great, as does hitting things in the face. The controls do get slightly messy unfortunately, especially when you’re trying to use some of the more advanced moves and features. Penny-Punching Princess is a game that I feel absolutely would have benefited with keeping the controls as simple as possible. Trying to bribe enemies at the same time as avoiding attacks from 3 or 4 others can get extremely frustrating and directly contributed to many failed dungeons. Sadly, I felt that the gameplay loop soon became tiresome and whilst opening up a new area does bring some respite as you take in the new visual surroundings, before too long you’re back on the grind of similar looking areas. Penny-Punching Princess is also extremely unforgiving as you meet tougher and tougher enemies. Between levels, you’ll spend your time at the castle as you check out the upgrades you fancy for your armour; each of which will then require you to bribe a number of specific enemy types before you can craft or upgrade that particular piece. 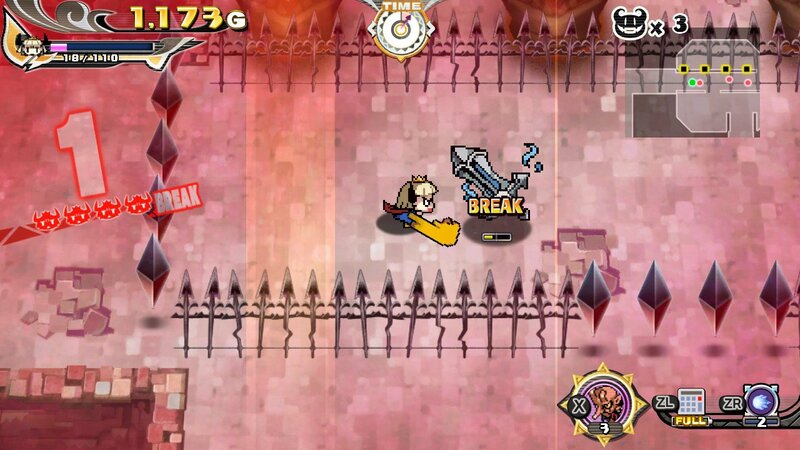 Different armour will naturally give you different bonuses and combat abilities and it is vital to craft and upgrade certain armour to give you a chance at taking down the various boss monsters throughout Penny-Punching Princess’ numerous dungeons. It’s advisable that you keep upgrading your gear, however, because the punishing difficulty is only amplified when you come up against these bosses. The artwork and visual effects in Penny-Punching Princess are fantastic. Everything is extremely colourful and the game looks great in both docked and handheld mode. Overall, I much preferred playing docked whilst using a Pro Controller as I found this far more comfortable for repeated button mashing combat. Oh, and one more thing; there is no auto-save feature. I learnt this the way that most people learn that there is no auto-save feature. So be aware! Penny-Punching Princess brings an interesting slant to the brawler genre, one that sadly can become fiddly and repetitive over time. As a fairly expensive eShop title (physical release plans were scrapped at the last minute), it’s difficult to recommend a purchase here, given what you could get for your money instead. Penny-Punching Princess is certainly not a bad game, but it’s not a great one either. One to look for in the sales then, where your calculator allows.